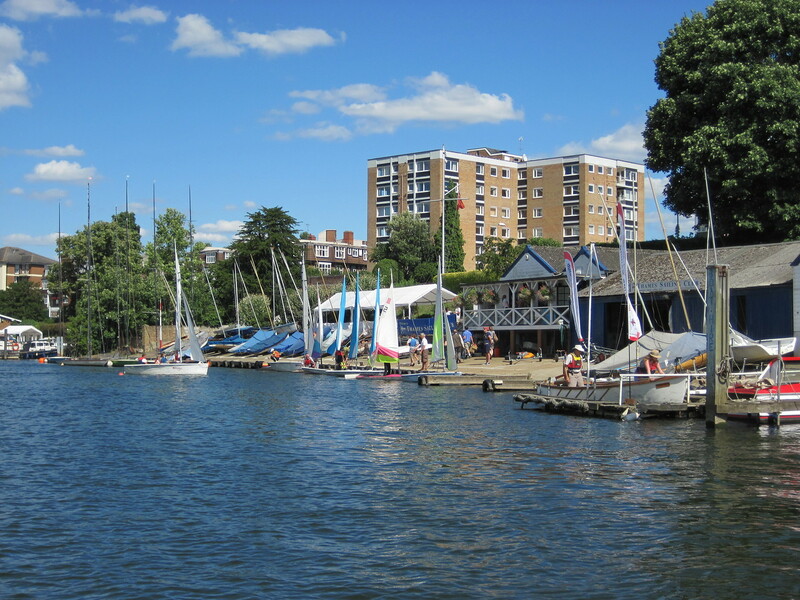 Welcome to the website of the Thames Sailing Club, the UK's oldest river sailing club, founded in 1870. Located between Surbiton and Kingston on the Surrey bank of the River, the Victorian clubhouse overlooks one of London's most beautiful stretches of the river, bordered as it is by Hampton Court Grounds on the Middlesex bank. We are a relaxed club where sailing for fun is the aim. We race on Sundays and Tuesdays from April to October and probably Sunday Sailing up to Christmas. Sundays from about 10 am and Tuesday evenings from about 6.30. Most Sundays a light lunch is available. Supper is available throughout the year on Tuesday evenings. In the Summer we have fun sailing (no racing) on Friday evenings - usually every 2nd week but depends on weather. Sometimes it's every Friday if conditions are good. Please come down to meet us, don't be shy, say hello, it's unlikely you'll make it to the bar without someone introducing themselves to you. We have regular social events and parties and the club is also available for private functions for members.